Ever wondered how to move your website URLs from HTTP to HTTPS? Websites that display HTTPS have what is called an SSL certificate. Secure Socket Layer (SSL) encrypts website information between a server and browser. This is what creates a HTTPS in the URL instead of HTTP. This is a signal for visitors that a website page is secure. If your WordPress website is being used to collect any sort of information on your site visitors or customers (name, address, credit card information, etc. ), you’ll want to make sure you’re using SSL. Without it, your customers are at risk of having their information compromised. 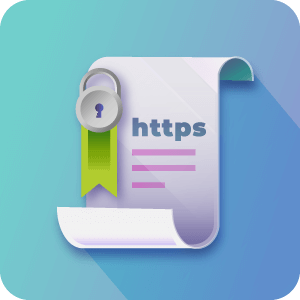 In addition, Google is now using SSL certification as a ranking factor to boost rankings for secure websites. It’s possible to redirect pages to HTTPS without a plugin, but if you’re not a developer, or just want to save time, plugins are good for that. In addition, sometimes there are issues with forcing a WordPress site to move to HTTPS, such as not recognizing HTTPS. Adding an SSL and HTTPS plugin can help clean up the process and make sure it works properly. Here are the five best WordPress SSL and HTTPS plugins out there and how to use them. Tip: if you want, you can skip directly to the comparative table. This plugin aims to keep SSL simple with minimal options and the ability to enable SSL with one click. Once enabled, this plugin moves your entire site to SSL. All incoming requests are redirected to HTTPS. The Pro version of this plugin includes support for mixed content, the option to enable HTTP Strict Transport Security, and more detailed feedback. The CM HTTPS Pro WordPress plugin is an all-in-one solution for installing an SSL certificate on your site and move from HTTP to HTTPS. This plugin not only redirects to HTTPS, it includes a scanner to find and fix unsecured content. This way, the exact location You can force your entire domain to switch to HTTPS, or only certain website pages. It comes with multi-site capability, URL mapping, testing tools, and an easy-view dashboard. It not only makes the SSL process easier and fixes any issues, it includes features to make sure your WordPress website stays secure and provides the best user experience possible. Plus, it comes with great support in case you have any questions. WP Force SSL is a basic plugin that redirects all WordPress site pages from HTTP to HTTPS. It doesn’t come with the advanced options of some of the other plugins. Note: With this plugin, users will need to add https to the WordPress Address (URL) and Site Address (URL) parameters under General > Settings. The Easy HTTPS Redirection plugin comes with the ability to redirect all webages or a few chosen pages. It also comes with the ability to force load static files, such as images, css, js, etc., using HTTPS. This last plugin is a bit different from several others on this list. It performs some basic fixes after you’ve already implemented SSL. It can be used to solve insecure content warning easily. It cleans up images and videos to load with HTTPS URLs. It also works across multiple WordPress websites. Now that we’ve gone through some helpful plugins, there are some steps you’ll need to take to make sure SSL works properly. Anything security related needs to be approached with some care and planning. Follow these steps to make it a smooth process. Whenever you’re making any big changes on your website, it’s always a good idea to run through the backup process. Make sure to do this first before going through the SSL process. You’ll need to purchase an SSL certificate before using any of these plugins. This can cost anywhere from $10 to $10,000 a year, depending on the level of verification. Many hosting companies offer these certificates. Some hosting plans come with an SSL certificate, so make sure you check first. Often, it makes the most sense to only re-direct a few pages that require high-security, such as the login or checkout page. This is why plugins that come with the option to select pages are super convenient. Some plugins, likeCM HTTPS Pro, come with testing tools to make sure everything is working properly. You can also use this plugin to scan and identify pages, images, and more you might want to secure. Make sure to keep the SSL certificate renewed. If not, HTTPS will be shown with a red line through it and a person’s browser might display that the site is untrusted. This is a major no-no, as the site is not only insecure, it’s displaying a red flag for customers, who will likely take their business elsewhere. SSL is a common and effective way to secure your WordPress website. If you’re dealing with customer information on your WordPress site, it is especially important to implement SSL and redirect pages to an HTTPS secure URL. Luckily, there are plugins that make transitioning to a secure site with SSL easier. Some, including CM HTTPS Pro, can identify insecure content and make sure your WordPress website is always secure.